Are you working on a tech startup? Or would love to inspire your daughter to pursue a STEM career? 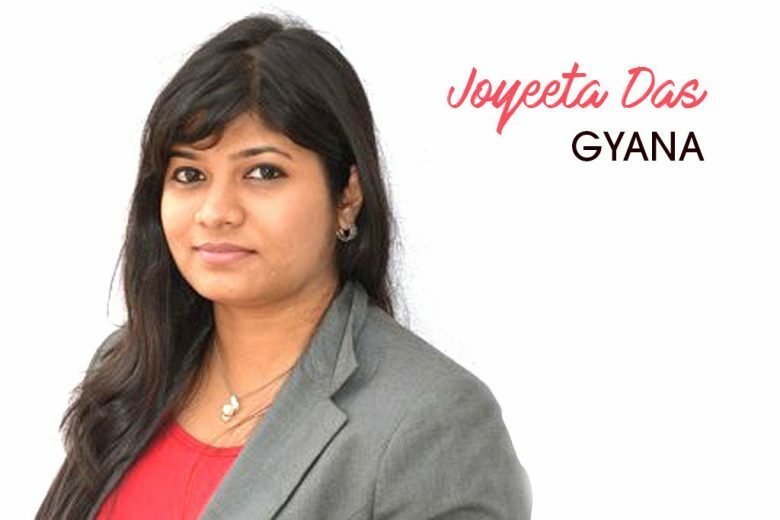 Read the inspiring story of Joyeeta Das, founder of startup Gyana. To date, technology has predominantly been seen as a man’s world. Even today, women apparently make up just 14.4% of of all employees in the UK’s STEM (science, technology, engineering and maths) workforce. But things are changing. Campaigns and organisations like WISE, Women in STEM, Girls Who Code and Mums in Technology (a child-friendly coding school) are all working hard to promote and encourage women in science, technology and engineering. So we were delighted to hear the story of Joyeeta Das, founder of tech startup Gyana – and share with you this report on her by Innovate UK, the UK’s innovation agency. At Innovate UK, we like to look at the people who change the shape of the innovation and technology industry landscape. When we find an inspirational individual like Joyeeta Das, we can’t help but share their story in our ‘Game Changers’ video series. In our latest edition we have Joyeeta Das, is the founder of Gyana. This pioneering startup gathers big data and social media trends together, using the information to form a unique search tool that will prove beneficial for businesses, consumers and government. Joyeeta started her career training as an engineer in India, before taking a job working at Cisco. Not too long after she founded Anahata Life, and furthered her study with an MBA at the University of Oxford. It was here where the idea of Gyana was initially conceived. Joyeeta was selected for two Innovate UK entrepreneur missions to the US and has now successfully brought Gyana to market. Gyana aims to bring AI and big data to consumers in an affordable way, and this is through its unique information search tool. The software looks to integrate data from numerous channels, such as social media, traffic updates and weather, to bring together a perspective about any selected area. This will include the trends of the area, the general attitudes and even emotional ‘vibe’. The concept of this tool is such that the more data input, the greater our understanding of the world around us. The aim is to help the likes of businesses, government and consumers to gain a genuine insight into specific areas and demographics. Why is Joyeeta so inspiring? Joyeeta has an unwavering belief in her idea, coupled with her real passion for technology and innovation. The team at Gyana have worked tirelessly to bring their concept to life, but it hasn’t been an easy ride. At one point they were even working without pay following a potential investor dropping out, and there were certainly many late nights. However like all strong entrepreneurs, Joyeeta stuck by her plans and continued her search for new investment. By January 2015 she had secured funding, and an additional £1.5 million was added in November 2015. By January the following year the team had swelled to 15 people, and in July 2016 her product was launched. Joyeeta often talks with passion about the importance of business networking. She claims this was vital as she attempted to secure funding for Gyana so that it could properly take off. When she attended networking events she arrived with an enterprising outlook and a positive mindset, which explains how she managed to create beneficial connections and partnerships. Joyeeta is a deep advocate of networking events and urges all aspiring entrepreneurs to get out there and start talking to potential investors. “It doesn’t matter how many books you read or how many people you talk to. You can’t learn something by correspondence. Yet the biggest thing that no one really tells you is that it’s an emotional and psychological rollercoaster. It completely challenges your self-confidence and emotional cushions. Remember it’s not just you, you’re taking a lot of people on this journey with you and they have risked a lot to come along. If you want to see more videos like this, subscribe to Innovate UK’s YouTube channel here. You can also follow @InnovateUK on Twitter.